Editor’s Note: The following is the first of several of posts examining critical upcoming elections in various Sub-Saharan African nations in 2011. One of the biggest determinants of living standards for those at the base of the pyramid too often receives scant attention in the Western press. That is, a presidential election. In countries whose citizens also tend to be members of the BoP, national governments frequently squander natural resources and foreign aid. Some lack competence, some lack capacity, and some lack the moral compass that would otherwise prevent the appropriation of vast amounts of state funds as millions of countrymen starve. The choice of an executive in a region like Africa is therefore critically important. The ability of a government to manage economic policy and resources, negotiate with foreign investors, award contracts transparently, and improve domestic services for its citizens will determine how easily its people are able to achieve a better standard of living for themselves and their children. In 2011, 14 countries in sub-Saharan Africa will hold presidential elections. Some of these elections will be little more than rubber stamps for a corrupt incumbent regime. Others will be genuine displays of democracy, with relatively transparent polling processes. And then some elections – as we have just seen recently in Cote d’Ivoire – will be fundamental tests of a country’s ability to move beyond a corrupt, moribund past towards a future of better and more democratic governance. The next presidential election in Africa will take place in Niger, on March 12. Let’s take a closer look at some of the factors affecting the election in this country, one of the least developed in the world. In the last year alone, Niger has experienced two of the most common plagues of the presidency in Africa: a constitutional change to extend term limits, and a violent coup d’état. Yet the end result of this upheaval — as the upcoming elections could demonstrate – may well turn out better than usual. In August 2009, after 10 years in office, Niger’s President Mamadou Tandja organized a referendum to overturn a constitutional provision limiting the president to two terms. In a vote decried by opponents as rigged, the measure was successful. However, in February 2010, a military junta calling itself the Supreme Council for the Restoration of Democracy (SCRD) expelled Tandja from office. The leader of the coup, Major Salou Djibo, subsequently established a timetable for a democratic transition and barred the SCRD from participating in the upcoming elections. Two months ago, the country held the first round of national elections to restore civilian rule. On March 12, the presidential run-off election will determine whether Mahamadou Issoufou or Seini Oumarou will be the next president of this troubled nation. Mahamadou Issoufou: The longtime opposition leader, 59, won 36 percent of the vote in the first round of elections, and is considered the front-runner for the presidency. A member of the Social Democratic Party, Issoufou served as prime minister from 1993 to 1994 and President of the National Assembly from 1995 to 1996. 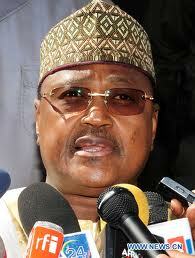 He ran for president in the last four elections and was re-elected to the National Assembly in 2004. Seini Oumarou: Prime minister from 2007 to 2009, Oumarou, 60, is a Tandja protege and garnered 23 percent of the vote in January. He heads Tandja’s former party, the National Movement for the Development of Society (MNSD). Oumarou was arrested twice in the last year; once, in the immediate aftermath of the coup as the military junta detained several members of the Tandja government, and again in July 2010, accused of embezzlement of state funds. 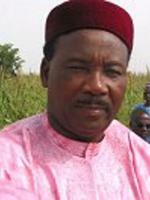 Like Issoufou, he claimed the arrest was politically motivated, and Oumarou was released on bail the next month. Though his ties to former president Tandja may hurt him, a broad coalition of politicians is likely to support him. This includes Hama Amadou, a former prime minister who placed third in the first election round and has recently faced significant charges of corruption. Niger is one of the poorest countries in the world, ranking third-from-last in the 2010 United Nations Human Development Index. With 63 percent of its population below the poverty line, only 29 percent of the populace is literate and the average lifespan is just 51 years. The country is menaced by the quickly-encroaching Sahara desert, and frequently struggles to feed its people. At the same time, Niger contains some of the world’s largest uranium deposits, which up to this point have been exploited mainly by France. Other potential economic boosters include gold and petroleum, which have not yet been adequately explored. In 2005, the country joined the Extractive Industries Transparency Initiative, which, if properly adhered to, will help ensure that the profits from these natural resources are properly managed. The most recent government had taken encouraging steps towards privatization and luring foreign investment, bolstered heavily by the IMF and a broad cadre of international donors. As in several African countries, however, President Tandja apparently conflated the importance of his ongoing economic reforms with the need for him to remain in power past his constitutional mandate. (As justification for extending his term in office, Tandja claimed that the Nigerien people wanted him to finish several economic projects worth billions of dollars begun in recent months). The next president will face the challenge of ruling a country of deeply impoverished citizens, who face daunting economic and environmental challenges in their daily lives. He will have to balance the need to attract foreign investment with careful regulations that prevent corrupt, uncompetitive contract awards; he will have to move forward with privatization while improving the government’s management of critical systems like health and education; and most of all, he will have to begin building the democratic institutions to ensure he can some day be smoothly replaced. This is a tall order, and the next Nigerien government will likely need significant outside assistance. Whether the international community will have a reliable partner – and the people of Niger will have a trustworthy leader – is an open question. But it is a question whose answer will begin to become clear on March 12.